Are you intrigued by aircrafts, planes, and spacecraft and how they work? Do you yearn to be behind the scenes developing these mighty machines? If so, then the first big step is to get your bachelor's degree in aerospace engineering. Of course, as with any other degree program you will first need to complete the course work necessary to obtain your high school diploma, or the equivalent. Next, you will need to do your homework and find a post-secondary learning institution that offers a degree program that suits your career goals. You will likely need to submit copies of your ACT scores, your high school transcript, and a few letters of recommendation that will vouch for your academic abilities and your character. While not all colleges and universities offer a degree in aerospace engineering, many colleges do offer a bachelor's degree program in mechanical engineering with an emphasis on aerospace elective courses. It is important to note that this industry is extremely hard to get into; therefore, you may want to choose a college or university that has a reputation of employing connected professors. As you near graduation, this may help you find an avenue of employment. Also, while an internship is not required in order for you to obtain your degree it may be a good idea to complete an internship or apprenticeship. This will allow you to have real world experience that you can add to your resume. Not only will this provide you with valuable experience, it will also help you stand out against fellow job seekers. Another way to break into this competitive industry is to further your educational degree level. This will allow you the educational opportunity to more directly focus your studies on a specific area that interest you or that you demonstrate strength in. To train you to test and design jets, planes, and helicopters you will need to complete bachelor degree course work like: calculus, low speed aerodynamics, aerodynamic vehicle design, introduction to aerospace engineering, and materials science. These courses, which include classroom instructional formats and hands-on laboratory instruction, are designed to teach you about flight mechanics, propulsion, stability and control, aeromechanical design, and thermodynamics. In addition, it is important that you use these courses to help you thoroughly understand the functions of aerospace engineering. Prior to graduation, students will be required to complete an extensive project that has them designing a spacecraft or aircraft. Successful completion of this coursework will allow you to seek employment as an aerospace engineer, an astronautically engineer, or an aeronautical engineer. After you have completed your bachelor's degree in aerospace engineering you will likely want to consider seeking certification. As long as the college or university you graduated from is an accredited institution, then you can pursue becoming a professional engineer by passing the Fundamentals of Engineering examination. Furthermore, after you have four years of experience as an engineer you may choose to complete the Principles and Practice of Engineering examination as well. Once you earn a passing score on this exam you will be considered a professional engineer. - Use your proficiency to solve aerospace engineering issues. - Use your skills is areas such as robotics or healthcare. - Focus on commercial and military planes including space vehicles. - Conduct experiments and communicate effectively. - Effectively communicate to a team or client regarding research and findings. - An ability to interpret advanced data. 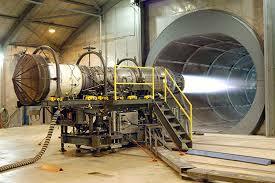 - Solve aerospace engineering problems using modern engineering tools. The media salary for a professional in aerospace engineering ranges from $97,500 - $103,720 per year. Most entry level engineers will make under $60,000 per year. The industry is expected to have a growth rate of 6-7%. Currently there are over 80,000 current jobs available in the aerospace industry. The different types of careers available include: commercial aerospace engineers, military and airplane inspectors. Most of the jobs over the past 30 years have been in the government sector but more recently the private sector is experiencing big growth and the need for qualified aerospace engineers has increased.